A veteran suffering from post-traumatic stress disorder was referred to the Northeast Florida Medical Legal Partnership for assistance with his child support, dissolution of marriage and time-sharing matters. The referral came from the Wounded Warrior Project. Pro bono attorney Susannah Collins Robinson agreed to represent him. In the end, she eliminated barriers to employment and provided him with the opportunity to move ahead with his life in positive and productive ways. What were the basic facts of your case? My client was an Army veteran severely affected by post-traumatic stress disorder. His wife left him shortly after his return from war and he had not seen his children in approximately eight years, the oldest of whom he had met twice and youngest of whom he had only met once. He received disability and had just finished training in the welding industry but his PTSD made it very difficult for him to pass the tests or find employment. Why was the outcome important to your client? My client is leaving the state of Florida to make a new life for himself elsewhere with the help of his family. He is still receiving counseling and treatment for his PTSD through the Veterans Administration and has now received his license to weld, so with all hope, now that he has a clean slate, he will be able to make a better life for himself. Why was the experience important to you? That is, what did you gain from the experience? I am a Navy junior and come from a long line of both men and women who have served this country honorably during wartime. I felt incredibly privileged to be able to help a veteran whose need was so great and who had suffered so much through his service to this country. For me there is no greater pleasure. What is the name of your firm? In what areas do you practice? 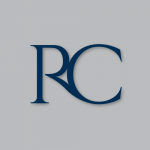 I’m a partner with Robinson Collins, P.L., and I practice primarily family law. What advice do you have for other attorneys considering pro bono involvement? Every attorney has an obligation to represent his fellow man and share his knowledge, experience and advice with others who are not educated in the practice of law. 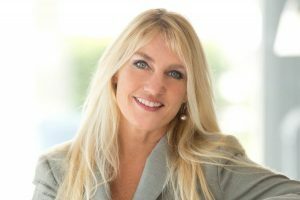 Attorneys should not just consider taking on a pro bono case, they should embrace it as their responsibility.